Here's a look at the top apps and games that just landed in the Play Store. Welcome to Five to Try, our weekly look at what’s new and exciting on the Play Store. This week’s list is led by Flyover Country, a new app that makes it easy to find landmarks below while on your next flight. Also out this week is Cardboard Enabler for Gear VR, which lets you view Google’s VR apps using Samsung’s headset, as well as the Chromecast-equipped Viceland TV network app. And if you need a new game to dig into, Yo-Kai Watch Wibble Wobble puts a puzzle spin on the increasingly popular Pokémon-like franchise, while Super Arc Light delivers tense arcade shooting thrills. Read on for impressions of each, and then get to downloading! Flyover Country uses GPS to pinpoint your location on the offline map. If you always choose the window seat and love looking down at the sights below, then Flyover Country is for you. 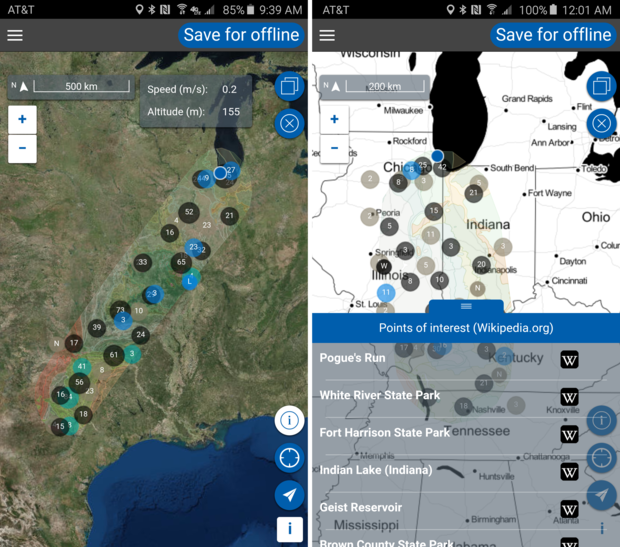 Offered free by the National Science Foundation, the app lets you mark the path between cities before you take off on your next flight, save the data for offline usage, and then tap into it while in the air to learn about all the natural landmarks below. You don’t need Wi-Fi access to use it, and the app will locate your position via GPS. Flyover Country isn’t much to look at, admittedly, but it’s a great resource for travelers who want to know what they’re flying over. You’ll be able to discover geologic formations and fossil locations from above, and Wikipedia articles provide context as desired. And while it’s clearly designed for in-flight usage, the app also works when hiking or on a road trip, for example. Quickly link together the goofy cartoon faces to attack foes in this spinoff of the Nintendo sensation. Have you heard of Yo-Kai Watch? It’s the latest Pokémon-like craze from Japan, with Nintendo-published 3DS games, a popular anime series, comics, and loads of merchandise. 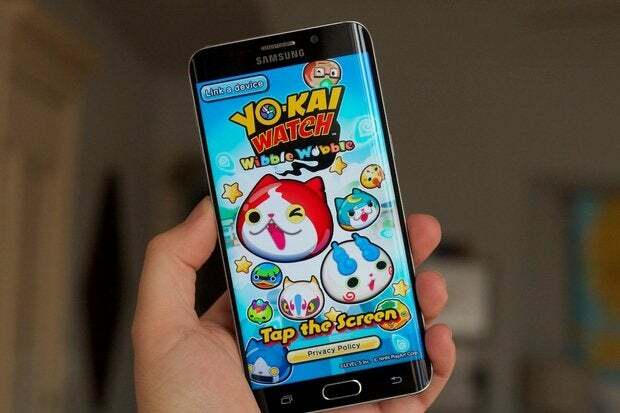 And now it’s on Android, although Yo-Kai Watch Wibble Wobble isn’t a port of the monster-catching role-playing adventure found on Nintendo’s handheld. Instead, it’s a puzzle game where you’ll match together long chains of the monsters to clear them from the board. 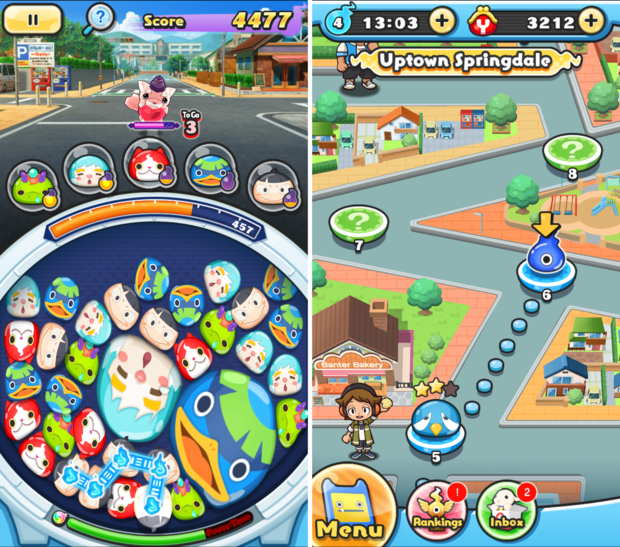 It’s a lot like Disney Tsum Tsum crossed with Puzzle & Dragons, as you’re rapidly connecting the shifting stack of icons (like in the former) while doing so to send attacks to an enemy creature (as in the latter). Wibble Wobble has a fun and energetic tone to it, and much like last year’s Pokémon Shuffle, it seems to do a solid job of turning the series into something that’s actually worth playing on Android. Simply tap to switch: Cardboard Enabler is hugely useful to Gear VR owners. Google Cardboard and Samsung Gear VR are both phone-based virtual reality platforms, but their apps don’t work on each other’s devices. Well, until now: thanks to the third-party Cardboard Enabler ($1), you can finally view Cardboard apps using the much nicer Gear VR headset. 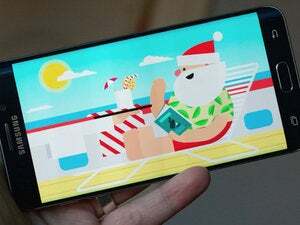 Essentially, the app prevents the Gear VR from automatically pulling up its Oculus launcher when you slot in your phone, leaving you free to load up a Cardboard app and view it. 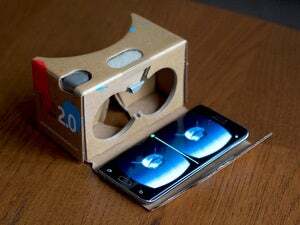 Quality-wise, Cardboard is inferior to Gear VR, but there are some solid Cardboard apps that you can’t find on Gear VR. The viewing experience is nicely improved on Gear VR, too, as I experienced with Google’s great new Arctic Journey demo in the Cardboard app. 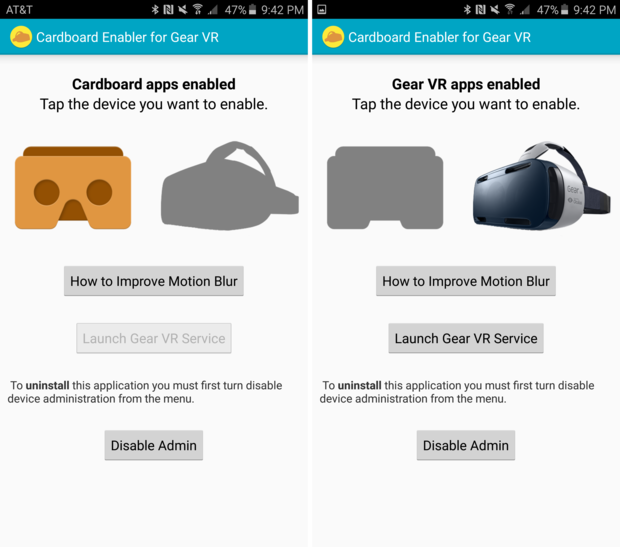 The app also lets you fiddle with the Gear VR settings to try and trim down motion blur on Cardboard apps, but I went through the hassle and didn’t notice a difference with the apps I tried, admittedly. Hold down to unleash gunfire, but prepare to rotate the other way when you release. Super Arc Light ($1) quickly brings to mind games like Super Hexagon and Wave Wave, both alluring survival challenges that seem intentionally designed to disorient you while playing. 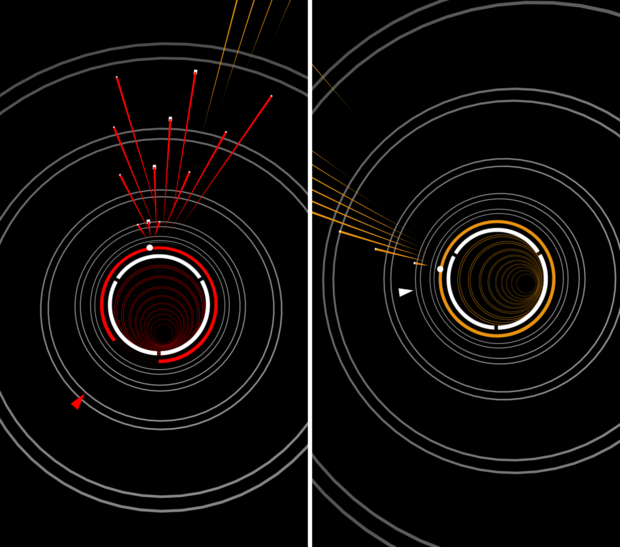 Like those favorites, getting a hang of Super Arc Light can take a while. Here, your little dot character is constantly moving around the central circle, and holding a finger on the screen causes it to slow down and shoot bullets at the enemies approaching from above. But when you release your finger, the character quickly turns around and goes the other way instead. It’s tricky, but that’s the fun of it: trying to overcome that hurdle to push further and further while blasting enemies. Super Arc Light has a very minimal look, but also some surprising visual flourishes along the way and a great pulsing soundtrack to match. 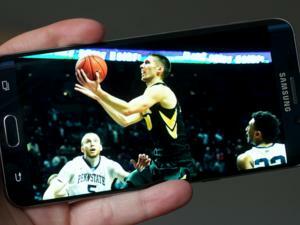 Vice’s new TV network gets its own app, complete with free episodes. If you enjoy Vice’s distinctive brand of provocative video journalism, as seen on the HBO series and web offerings, you’re in luck: now there’s a whole network of it. 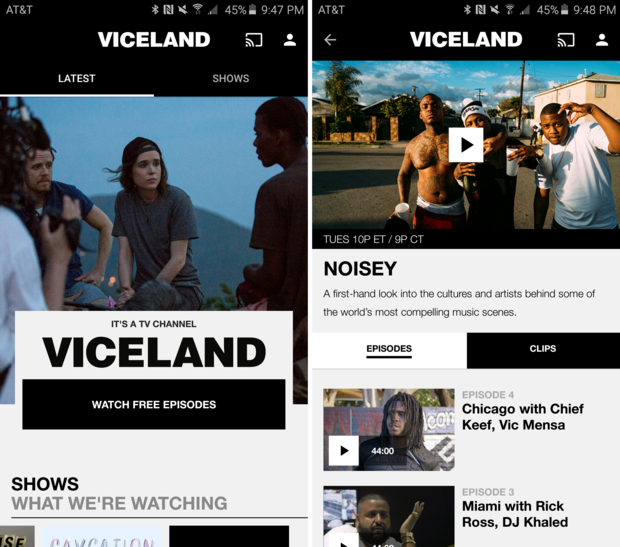 Viceland, which recently went live for cable and satellite subscribers, delivers an intriguing slate of original documentary and reality shows, and the Android app lets you access on-demand episodes and send them to a Chromecast, as well. Free samples are available in the app, although you’ll need a cable or satellite login to access the full library. Current offerings include music documentary series Noisey, Ellen Page’s Gaycation, and food show F*ck That’s Delicious hosted by rapper Action Bronson, which should give you a sense of the tone and breadth of what Vice is going for here. It’s fun, interesting, and sometimes even inspiring stuff.